While I was in Milwaukee last weekend, Drew and I came across one of the original prototype Bruiser forks. We made five models with the fork blades tapered and five without. After testing both, we decided that “beefier is better” and put the non-tapered through for production. 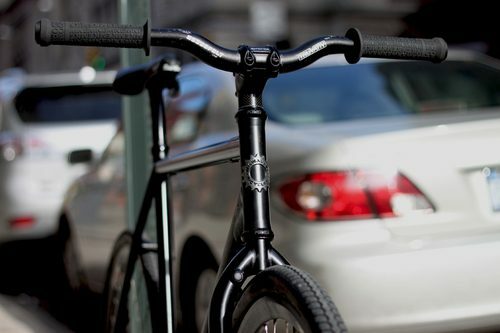 It wasn’t that the tapered fork was inherently weaker, it was just that we wanted to play it safe. Four of the five tapered protos were given away and this is the last one. When we found it last weekend, Drew agreed to hand it over. So now I’m going to test it out and see what I think. 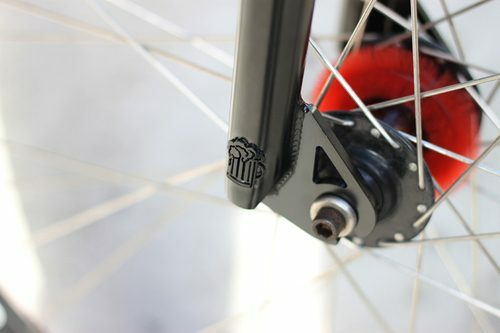 Check out some more photos of the fork and a nice shot of the new MKE grips below. Here’s a good shot of the taper. Still sporting the beer stein. 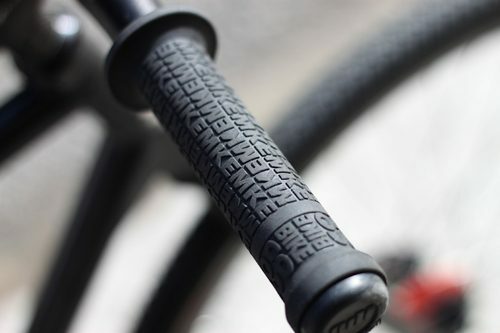 There’s a nice shot of the MKE Grips. I’ve been riding for about a week now and so far so good! As you can see, the taper is noticeably different than the stock fork. We don’t have any plans on replacing the production fork, so don’t freak out. 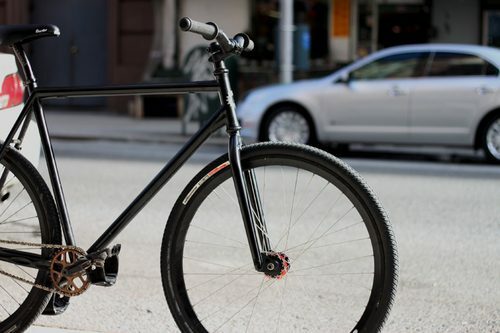 At the moment, the weight savings are so minimal that we’re wondering why a lot of people have gone with tapered legs? 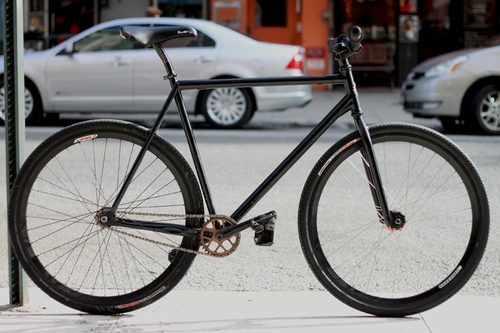 I guess it comes down to one thing; piecemeal weight loss = lighter bikes. Every ounce, or in this case, grams count.